I'm going to start off this blog post on a truly exciting note, so sit down, take a few deep breaths, and calm yourself by scrolling slowly over these soothing flowers. I've had acne almost continually since I was eight years old. I know, right? Continually. Blackheads started running amok across my chin decades ago, and they just never stopped. During my teens, I hung onto assurances that it was just my hormones and that the whole mess was temporary. I watched those cosmetics ads with glowing, youthful faces and longed for the future when mine would glow back at me from the mirror like that. When the class photographer offered to overexpose my student photo a bit "to help hide aberrations", I was mortified but grateful. Once, when I was about 16, my paternal grandfather cupped my chin in his hands, looked into my eyes, and said, "One day, your skin is going to clear up, and some young man will see how beautiful you really are." Looking back, I kind of want to smack him, but that day those words felt like a ray of damn hope. One day, I might not have to feel like I should hide my face. One day, someone could look at my face like it was nice to see. A couple of months later, I was no closer to being lovable, as far as I was concerned. One entire side of my face had become so infected with pimples that I woke up in pain if I rolled over while I was sleeping. Panicked, I went to the doctor, a young woman who must have only been about 10 years older than me. She grasped my hand in hers when I pulled back my curtain of hair to show her my purple left cheek. "Who did this to you?" she said. She lowered her voice and looked me in the eyes. "Was it a boyfriend?" My pimples had bruised my face bad enough that a medical doctor thought I had been beaten up. "What? NO. This is acne. It's gone all crazy." When I told her that, she looked closer to see the zits through the bruising, and then she said the least reassuring thing I had ever heard from a doctor up to that point: "I have never seen anything like this." She gave me a prescription for heavy antibiotics and a topical ointment that smelled like burnt match heads, wished me the best, and told me that there was nothing beyond this she could do without a specialist for acne vulgaris. That's right. I had acne vulgaris. It was literally vulgar, and my doctor didn't say it should get better within two weeks. She didn't say this is the first line of defense, and we'll try something else next time. She said things like who hurt you and good luck. I spent the next two weeks nauseous from the antibiotics and smelling like hellfire, but it was worth it. Despite that doctor's noticeable horror and consternation, my face started to heal, and, thankfully, it never got quite that bad again. Phew. This is where you might expect the story to take a positive turn. Now she's going to tell us she finally got that youthful glow! you're thinking. Sorry about that, but no. No can do. The breakouts never truly went away the way health pamphlets and well-meaning friends and family assured me they would. As much as my skin issues have gotten better since I was 17, I have had only one or two days since elementary school when I did not have at least one zit somewhere on my face, but it's something I've adjusted to and learned to cover decently well when necessary. I even have phases during which I largely accept the skin I'm in and take little notice of my cycles of breakouts. I still get those purple, angry cystic ones now and again, though, and when those take hold I know I've got to go to a doctor so I can beat them back with antibiotics. I do this about once a year, and it's the only thing that does the trick. I hate actually going to the doctor, though, because I end up having to sit in a mediclinic waiting room full of diseases, so I was thrilled to find out that you don't necessarily need to see your doctor for every little ailment. You Can Ask Your Pharmacist! My acne started getting a little out of control again a few weeks ago (cue sulfur soap and benzoyl peroxide for containment, amen), but it wasn't clearing up. I should have gone to the doctor much earlier, but I didn't relish sitting in that aforementioned mediclinic waiting room, so I put up with my face getting bumpier and more infected until I found out about the pharmacist thing. If you live in Saskatchewan or Manitoba, pharmacists can help you with minor ailments, which can save you from having to visit the doctor if it's not truly necessary. This information made me a very happy camper, because I'd much rather talk to an expert at the pharmacy counter at Shoppers Drug Mart for stuff like this than make doctor's appointments. This list covers most of the stuff that happens to me, and it's much smarter to talk to the pharmacist than ask Dr. Google, which has been my usual go-to. The last time I asked Google for help with my acne I ended up with 3 bars of sulfur soap that branded my towels and several shirts with a terminal fart scent. So, last Wednesday afternoon, I went to my local Shoppers Drug Mart to talk to the pharmacist and show off a couple of hideous, purple monster zits that I had smuggled in under my scarf. I imagined that he was going to say I've got a prescription for that! and send me on my way zip zam bing, but it was not to be. Apparently, if I just had the minor and most usual variety of acne on my face, he could have set me up with an antibiotic cream, but when acne moves down onto the thicker skin on the neck and warrants lines like "purple monster zits that I had smuggled in under my scarf", you have to call in heavier artillery, which only a doctor can prescribe. You would think I was disappointed, because I still had to go sit in the mediclinic waiting room, but I wasn't. I tend be a somewhat paranoid, tinfoil hat type, and so when I found out that you could get prescriptions right from a pharmacist, I was worried that it would be easier than ever to get prescriptions for all manner of things without getting the doctor's care you might need, but it's not so. As much as I wanted to have that prescription already, I'd rather see a doctor if I might have something more serious going on. The Shoppers pharmacist did help me out with finding a decent antihistamine and a nasal spray, though, and my sinuses are ever so thankful. I promise to stop going into denial about my seasonal allergies already. Well, I do have more of a happy-ish ending. The happier part of this happy ending is that I got a prescription for heavier antibiotics from my doctor, thanks to the pharmacist's recommendation, and the ugliness on my neck is clearing up nicely. Yea, verily! The happy-ish part is that, in spite of the strong antibiotics, I still have a couple of zits. I will still have them tomorrow. I will have their relatives hanging around three months from now. I joke that I look forward to my seventies, because my acne will likely have cleared up by then. While I would love to be able to assure every teenager who feels as ugly as I did at sixteen that they will blossom into swans, I can't. Some people clear up altogether, some clear up but have sporadic breakouts, some clear up and then start breaking out again in their 30s or 40s (which are the second adolescence no on tells you about), and some people, like me, just keep being broken out to varying degrees. One way or the other, though, it gets better. What no one told me when I was an insecure teenager who thought they'd never get that first real kiss because of their grotesque appearance — I was not truly grotesque, but I was truly dramatic — was that all the energy I was putting into blaming my insecurity on my acne was misdirected. I had reasons to be insecure, sure, but those reasons were a lot of different things that had no choice but to change over time. 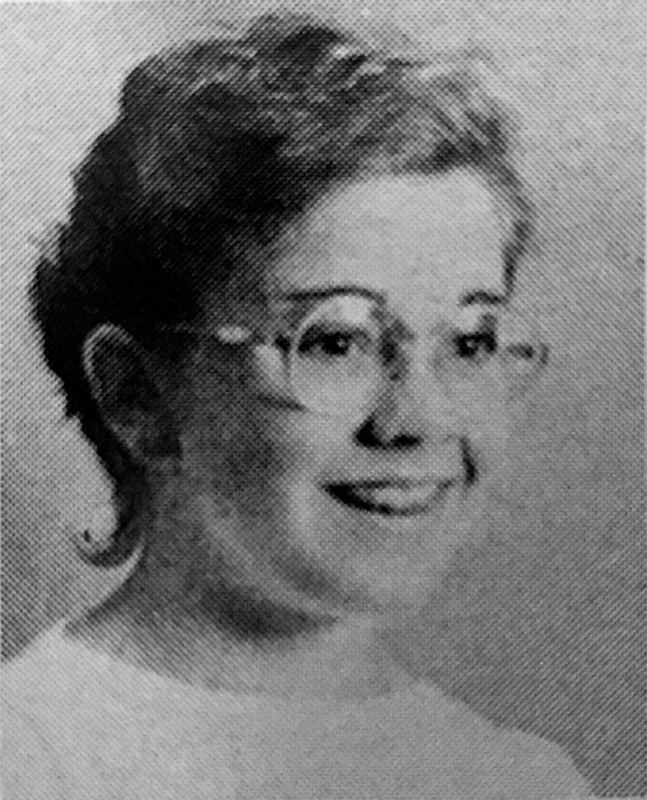 I hated my acne so much that I completely missed out on the other fixable stuff I had going on, like perms, lilac-coloured plastic glasses, braces, figuring out who the heck I was, and, at 13 and 14, multiple rat tails along the back of my neck threatening to mature into a mullet. 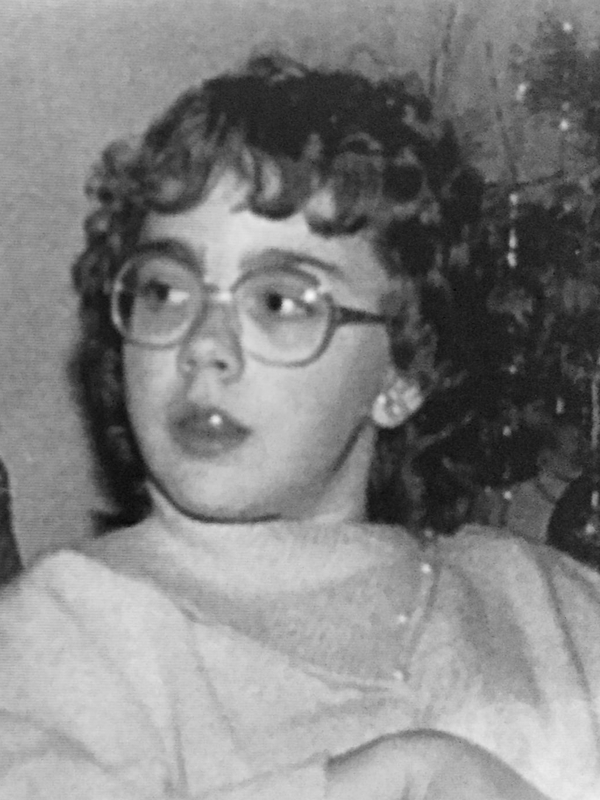 These photos of me at 12, 13, and 14 were taken back in the olden days of film photography, badly printed yearbooks, and my lack of self-awareness, so you can't make out the acne, braces, and purple glasses, but they were there, oh yes. Note the rat tail I'm sporting in my middle picture. I never glowed flawlessly, I still occasionally have to hear the words acne vulgaris used to describe my condition, and sometimes I'm pretty sure I need to take this whole package back for a factory reset. That's how it works when you inhabit a body that changes over time. It keeps changing, and I try to keep up. Even though I'm not always 100% thrilled with the face I see looking back at me, I'm less at odds with it now. I'd even say that I've gone beyond the tired acceptance I once thought was as far as I could go. I've come to kind of love this face. It's my face. I've been wearing it long enough that nothing else would quite work the same way with the words I say and the things I do. And I like knowing that I can chat with a pharmacist about my issues before I wait it out too long and hit the acne vulgaris stage again, because it's easy to say I love my face today when I'm down to six zits and a new, spontaneous freckle, but it's a lot harder on the days when I'm trying to figure out a new scarf-tying technique to hide a nasty breakout on my chin. Who am I to tell him he wrong? This is a sponsored post to educate the public about valuable pharmacy services that are available in Saskatchewan and Manitoba. There are no affiliate links, and all opinions are my own.